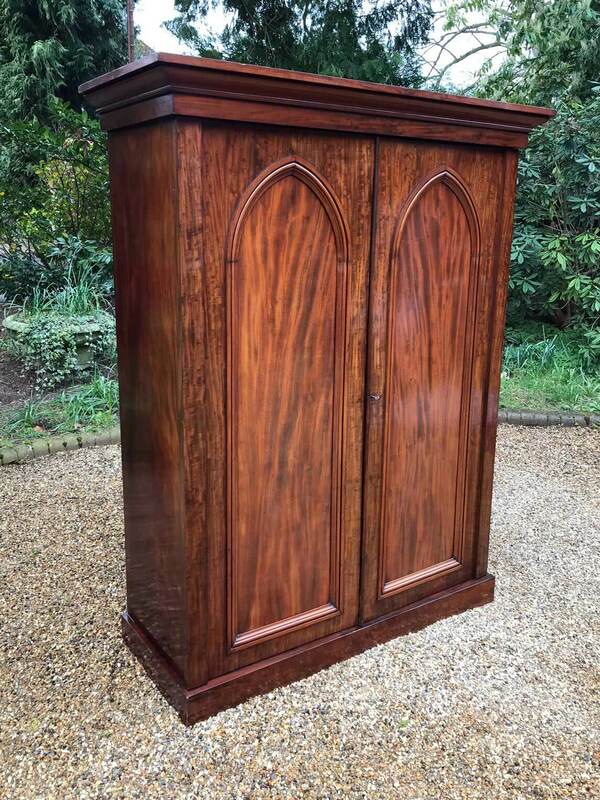 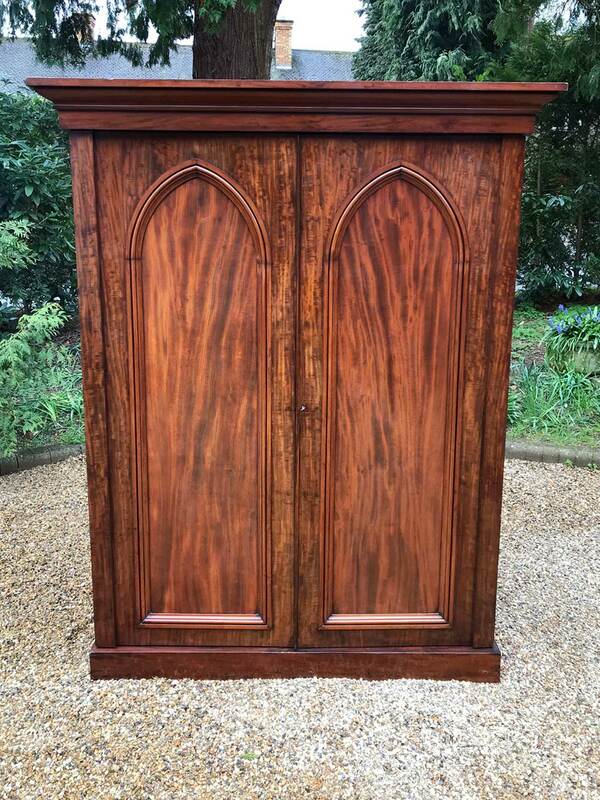 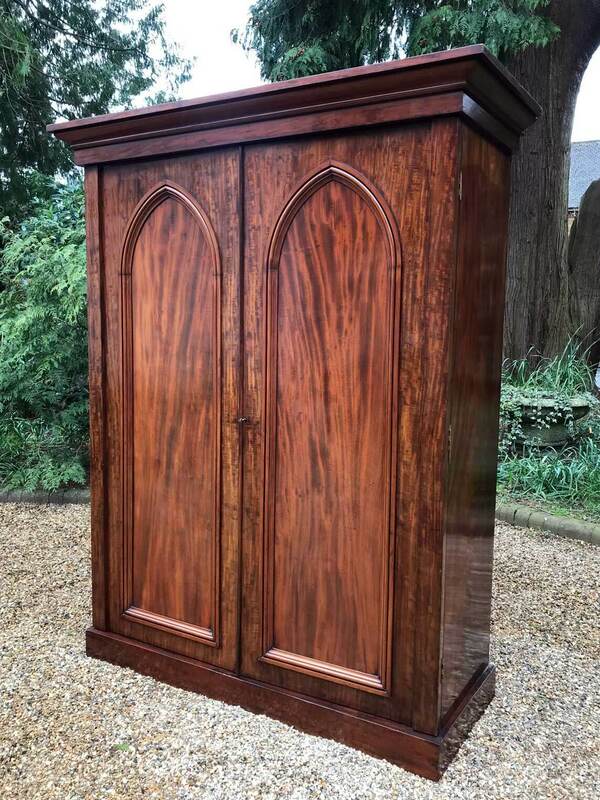 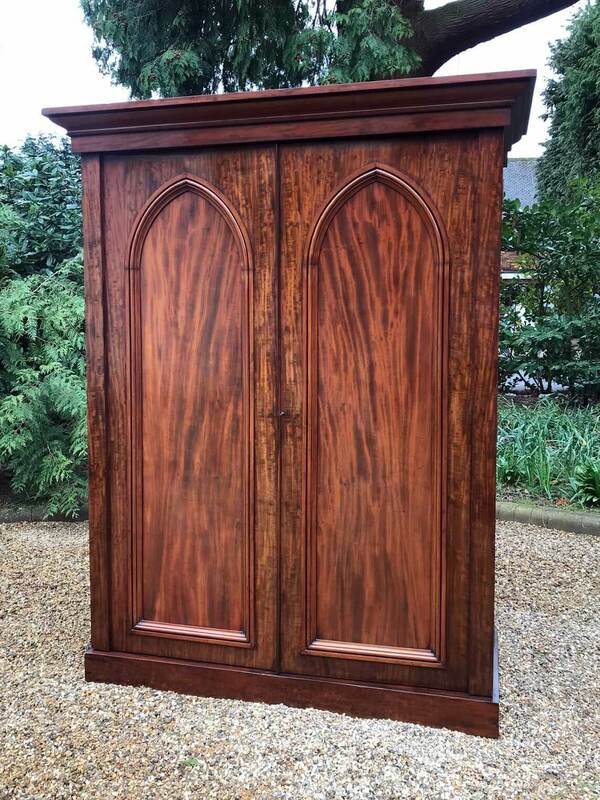 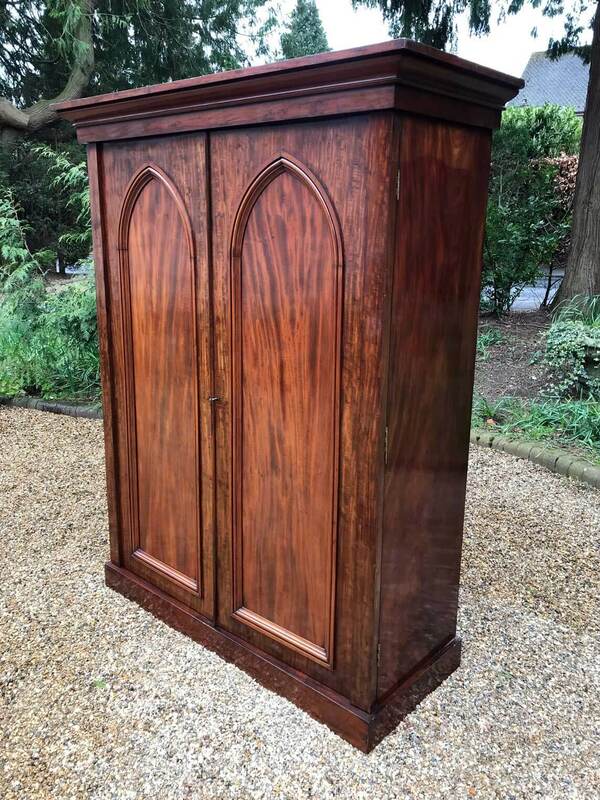 19th Century Flame Mahogany Compactum Wardrobe (Gentleman’s Wardrobe) with two flamed panelled doors. 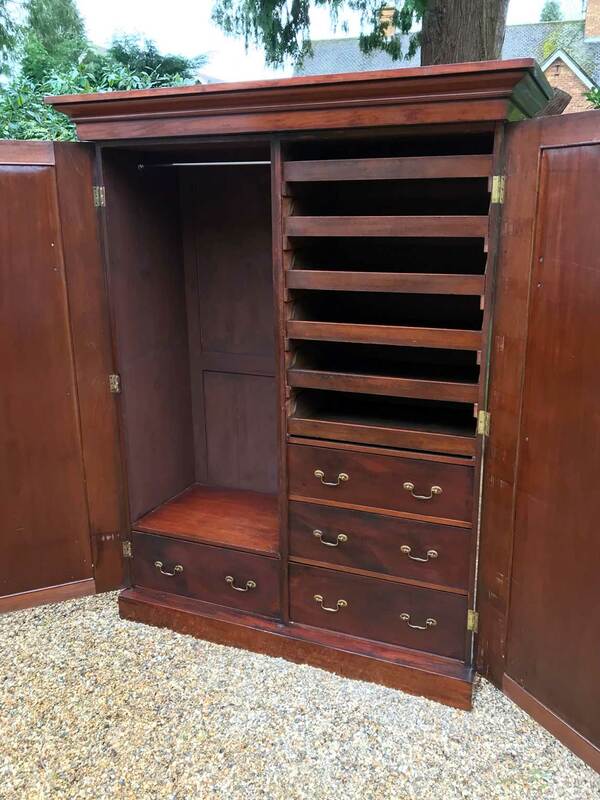 The original interior has hanging space on the left with a drawer below, on the right hand side there are six sliding trays with three oak lined drawers below all with original brass swan neck handles. 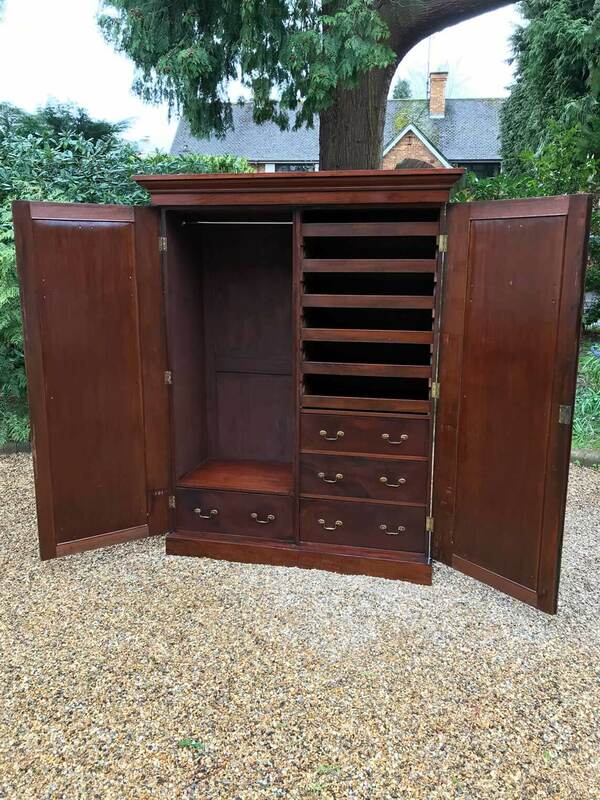 Comes apart in four separate sections on a plinth base.